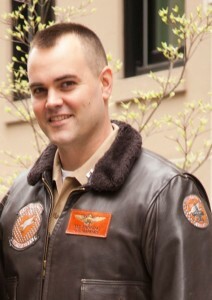 Ted Fienning is a former Marine Corps F18 fighter pilot. He, along with his wife and two married friends started a company called Babiators. 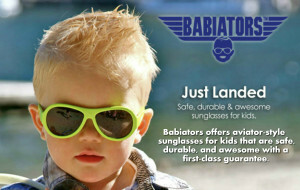 Babiators started out as an idea on paper three years ago. Today, it sellers across 2500 doors in 45 different countries. HSLD: Besides the little background that we�ve give about you, could you tell us a little more about yourself? Ted: I am a husband to Molly and a father to our three year old son, Sawyer. We live in Charleston South Carolina. I got off active duty about twelve months agoin the fall of 2013. 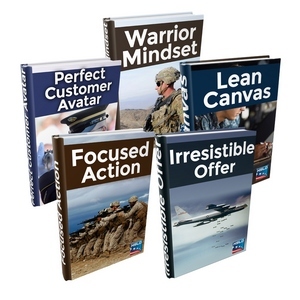 We started the business concurrently with my military service in 2010. We�ve been rolling with our business for 4 years now. HSLD: Let�s start with your success quote. What is it? That change in mentality is one of the biggest hurdles that we military people have to make. When it comes to our money, we store it and save it and we�re not so aggressive in that arena. HSLD: Let�s focus on your military experience. Tell us a story of your most pivotal moment in the US army and share with us some of the lessons you learned. Ted: My biggest military experience may have come even before I joined the military. I was a September 11th Marine. I graduated college in the spring of 2001 and then took a job in finance. When September 11th came along, I was sitting at my desk and realized that there was a whole world that I have yet to see. Also, the country was under attack so I decided to join the marines and fight. HSLD: Let�s focus on your transition out and the failures, challenges and lessons you got from it. Ted: I had a 10 year commitment because I took a role as a fighter pilot. And because of that, I had an extremely challenging departure from the military which was interesting considering my business was already up and running even before I left the military through the efforts of my wife. Psychologically, leaving the military was very difficult for me mentally. I had a hard time adjusting to civilian life which didn�t necessarily have anything to do with the experiences that other veterans may have had. I had trouble abdicating all that camaraderie and responsibility all at the same time. It was almost like a mourning process. It takes 6 months to a year to settle down. HSLD: On that path, was there one thing that you did that helped with your transition out? Ted: Everyone has a different path in the military life. For me, joining the reserves has been a good halfway mark. Besides that, having a plan 6 months before getting out. You want to start thinking about what you�re going to do after. It may sound clich� but there is a huge network of veterans in every single field that you want to live in and you should tap into that. One thing that has worked for me is I tried to imagine where I want to be 5 years from now. I then look for people who are already at that point, try to track them down and talk to them. HSLD: Can you share with us the first thing you did in the civilian world? �Ted: I had created Babiators which is a company that sells indestructible children�s sunglasses made out of medical grade rubber and we replace them when children destroy them. I dropped in straight into the company. I just started taking more responsibility with brand strategy at whatever direction the brand was going at that time. So professionally I already had a paycheck the day I got out. My wife and I felt that since we were young, this was the time to swing from the fences. We didn�t want to work for someone else if we could help it. HSLD: Can you share with us an AHA moment that you have had that has really spurred you on? Ted: I�ll give you two. The first was when my wife was waiting for me on the flight line for the jets to come back on the deck. We came in and all the families were there and my wife immediately noticed that all of the other wives were wearing the cool aviator glasses and the kids were all squinting in the sun. When I come out my wife tells me this and I said, �Oh wow, we can call them babiators�. That�s AHA moment number 1. That was the lost and found guarantee and we started offering it to our customers. If kids broke or lost their products, we would guarantee them across that damage. HSLD: What is one thing that has you most fired up about your business today? Ted: What�s really exciting is that we�ve had customers say �Hey, will you make sunglasses for ages 3 years old and up?� We�ve managed the logistics and we were struggling to come up for a name for an older name of glasses. I went home and talked to my mom about it and she said �Why don�t you call them Aces?�. Sure enough we are launching Aces next spring and I couldn�t be more excited about it. What is the most difficult adjustment you had to make to the civilian world? The sheer change of momentum from being around high energy marines everyday to being it be just me. What business advice would you pass along to someone making the transition now? Read books. What is one of your habits that you believe contribute to your success? I try to strive to do three things to advance my business everyday. What is one generalization of being a vet, if any, that you had to overcome in the civilian world? That belief that all vets are the same. You can�t let people box you in.